A donation is defined as a voluntary gift or aid contributed primarily to a charity. Donations are used for various purposes with charity being chief amongst them. The Sample Letters are considered as one of the most important ways of requesting a donation for any purpose. 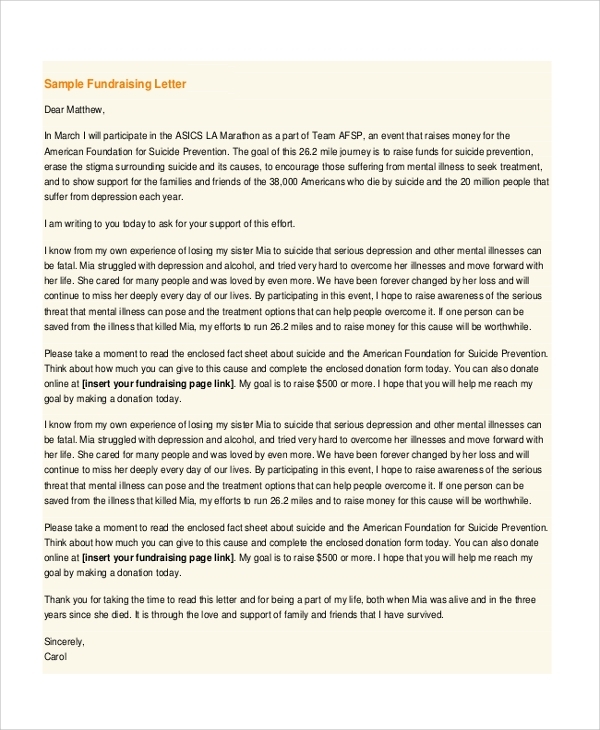 A donation request letter is written differently from a typical letter but, it is equally easy to write. All you require is a little caution for the language used while drafting a donation request letter. 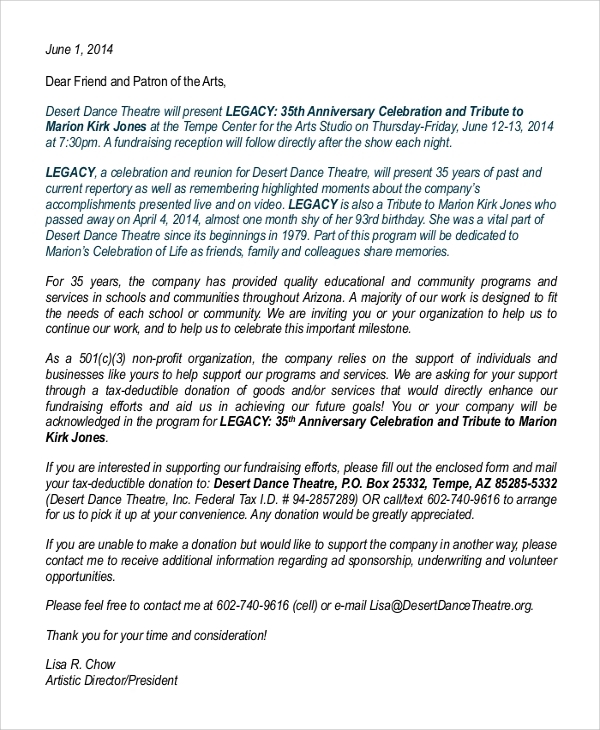 A donation request letter can be written by the non-profit organizations for their fundraising and charity events. It is written to the common public as an earnest plea to contribute to their mission. It is useful for any event or organization that is organized or works for a non-profit objective. Donation request letters can be written to raise funds through an event or only as a contribution also. 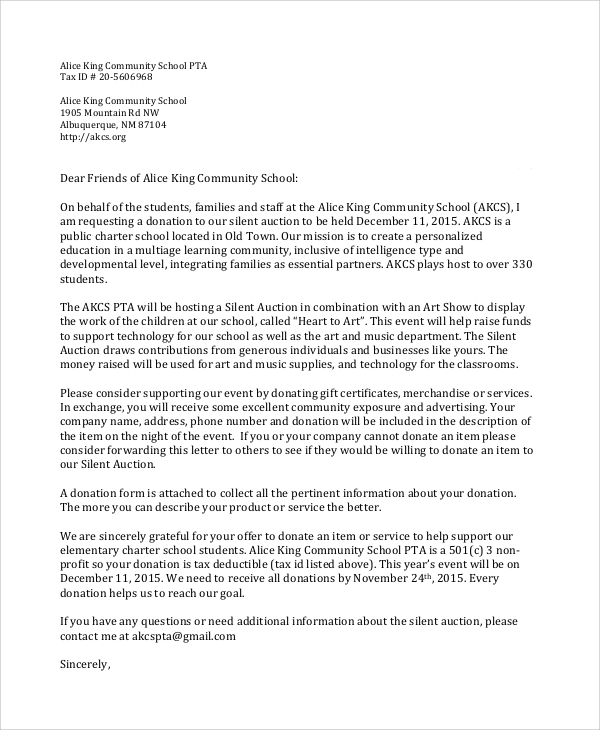 A sample donation request letter is akin to the above one, written to the common public requesting a donation for the concerned organization. It is useful for the members of NGOs and charity organizations. Food donation, as we are all aware, is rare in this world. There is a significant need for a food donation to feed the needy across the globe. A food donation request letter is drafted to collect a contribution of food and beverage items for the hungry and nutrition-less. The world understands the value of intelligence and its ever growing need. Some schools are run on donations and contributions by the wealthy as well as the common people. Such schools make use of the donation request letters to enhance their funds for better facilities. 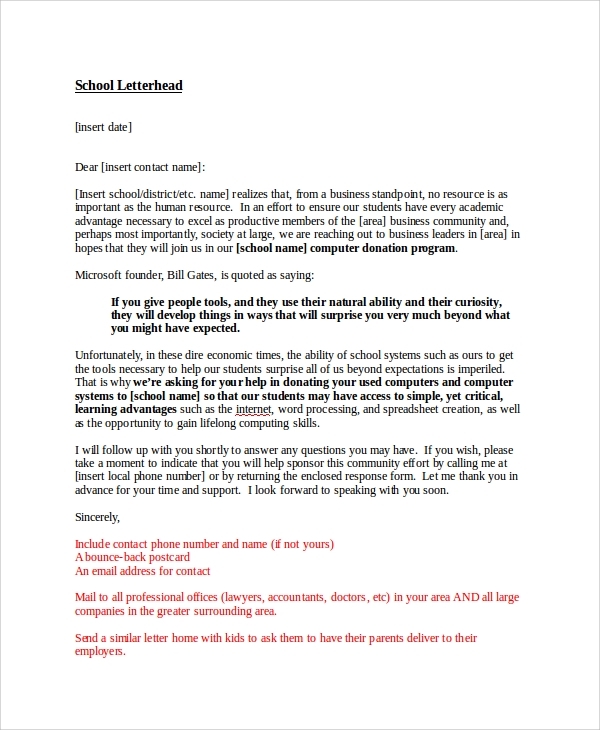 Anyone can write a donation request letter for the schools and help them. There are some nursing homes, homes for cancer patients, and so on that organize events to raise their funds for greater aid. 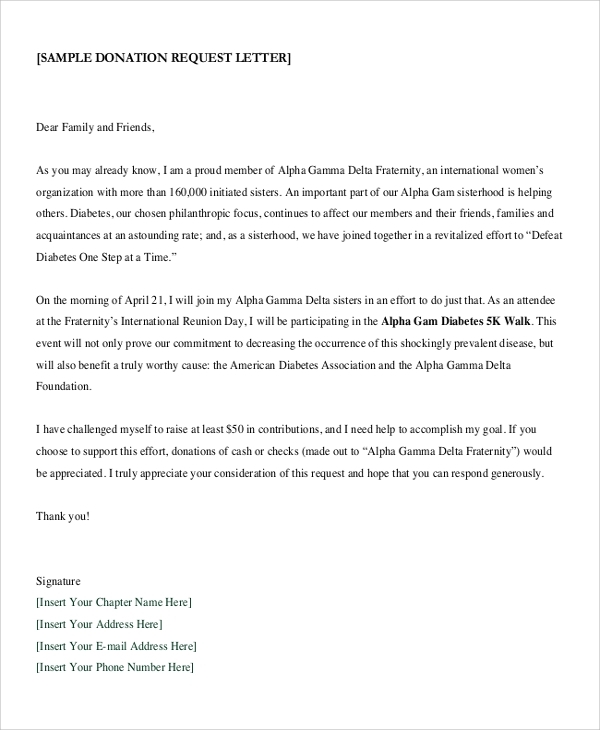 Donation request letters are written to spread awareness for these events and such organizations. Fundraising and charity events are the main motive. What is the Use Of the Donation Request Letters? There is a wide gap between the rich and the poor, the well-attended and the needy, the healthy and the sick. One important way of decreasing this gap is by donating in whichever way it is possible. Many organizations work in the direction of filling this gap by their aids. 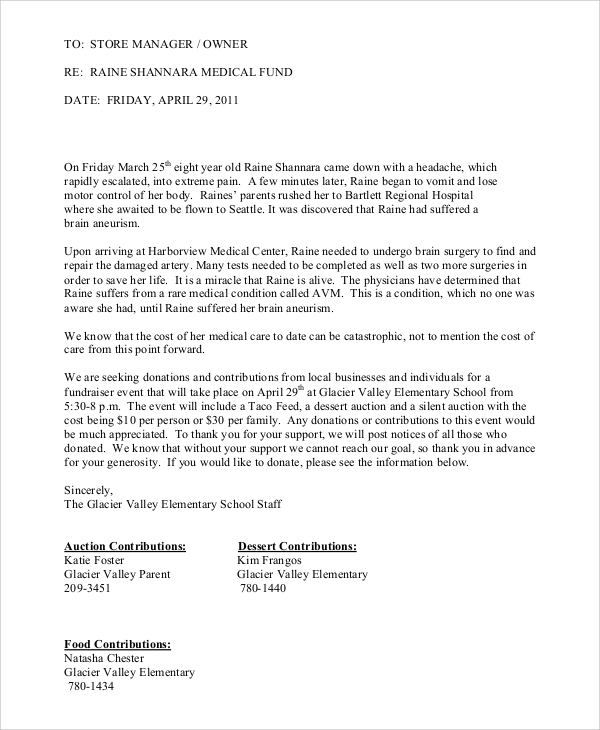 The donation request letters play a significant role in spreading awareness for the betterment of their facilities. A concept of Dream Factory is working to fulfill the wishes of poor and helpless children. Such companies require donations in the form of food, clothes, and toys and the Donation Request Letters facilitate in getting contributions from many. The donation is not just a way of helping the needy; it is an act of spreading God’s blessings. Donation request letters are beneficial for everyone – those who spread help, those who want to help and those who require help. It works as a means of spreading awareness and consequently, increasing funds that can enhance the facilities that reach the needy. Different donation letters have a different target audience. A fundraising donation request letter for the orphans is meant for those who wish to help children. While the sane letter for elderlies will earn a different kind of support. But donation request letters are a principal means of spreading awareness. Donating is an act of reflecting your humanity and helping the brotherhood. The Sample Donation Request Letters assist the people in need as well as the organizations working for their welfare. 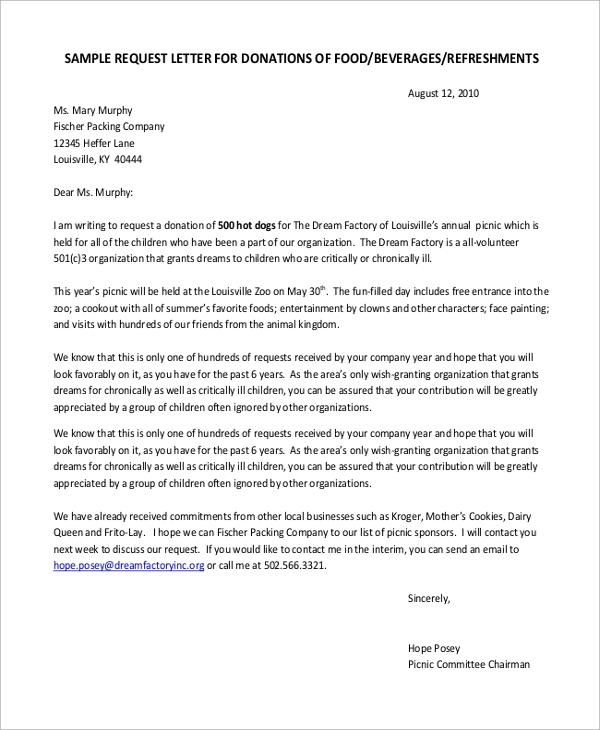 Sample sponsorship request letters are also written to earn donations for starting a non-profit institute like a school, hospital or food house for the poor and sick.